Computers are a pretty big part of our lives now. These words, this blog and an audience to read it wouldn't exist and we as a society would be finding others things to do when the sun goes down such as like sleeping or reading in low light settings. But we stay up late surf the net, read tangents of info and ignore countless cues to go to sleep. Its the AM and this monitor is bright even as I type so its no wonder that at night my brain would forgo bedtime and stay up late. 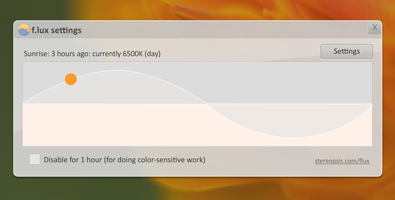 I was introduced this morning to a nifty app called F.lux that you can install which dims your monitor and changes the colour a bit to help align with your Circadian rhythm. The app synchronizes with your time /time-zone so that after sundown your monitor will undergo slight changes to help affect your mood. The result is that your brain doesn't think you are staring directly at the sun (your monitor) when surfing the net late at night. I'm going to set it up and try it out. The more sleep I can get the better I'll ride! P.S. You may want to disable it if you've got that big project due tomorrow. Our Jerseys are almost here. It will be a short 2.5 weeks wait before we pull these bad boys over our heads, zip them up, fill the pockets with gel and tools then sit on the couch and watch some old tour de france footage because its still too cold outside to ride. But we will look race ready sporting our own colours. 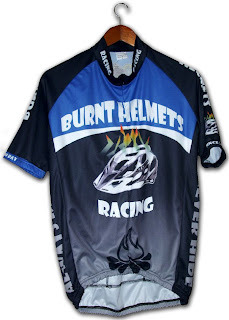 I plan on wearing mine for a short 250m circuit of my house during an up and comming ride of the vacuum. (weekend chores) I will be sweating it up as I perform my weekend chores. Stay tuned for a group shot of some of the team wearing their jerseys. 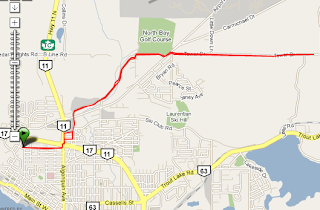 Well it was March 10th and I went for my first road ride. It was a short ride with the intention of getting the cob webs out of my spokes and trying my new watch out on some intervals. I can't remember getting out this early to ride... I mean in North Bay of course. Usually its still too cold and wet but it has been warm and sunny. This weekend is the International Spring Bike show. Some members of the BH will be attending on Saturday to pick up our OCA lic, buy some cheap bike swag and accessories. I know I need more biking shorts to replace the ones all wrecked from last year muddy season!